ASP.NET MVC 4 introduces Display Modes allows you to implement device or browser-specific views means you can target specific devices and provide device friendly interface. 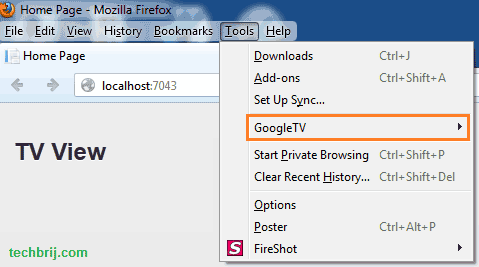 In this post, you will see how to implement mobile, tablet and TV specific views. Here we defined iPhone in DefaultDisplayMode argument which defines the suffix of the view and defined condition if user agent has iPhone. 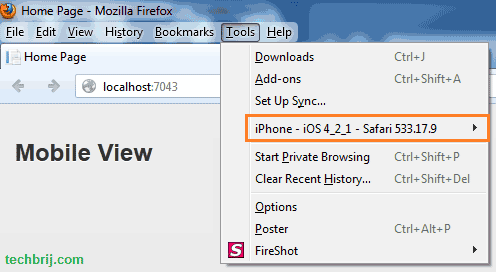 When an iPhone browser is making the request(It has iPhone in user agent string), ASP.NET MVC look first for views matching the suffix “iPhone” and renders [view].iPhone.cshtml. Our objective is to create a common view for all tablets. So, we need to detect whether the device is tablet. You would use Request.Browser[“IsTablet”] == “True” with 51degrees.mobi premium data. This property is NOT included in the free Lite data set. So, I converted Categorizr(A device detection script) into C#. Note: If multiple context conditions are satisfied then app will render which appears in Display Mode order first means 0 index will have the highest priority. NO NEED to do it, mobile suffix is already inbuilt for mobile devices. 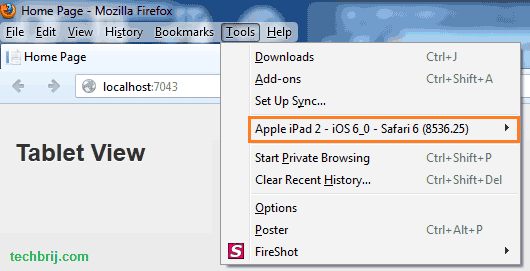 By default, if you add a .mobile.cshtml view to a folder, that view will be rendered by mobile devices. if no condition matches for any defined display mode, default desktop view is displayed. 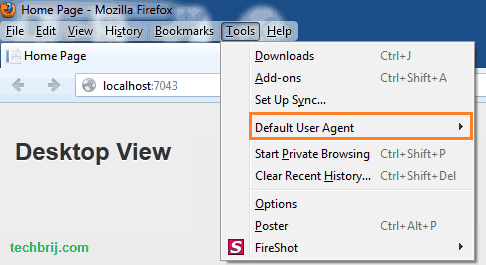 You can test it using Mozilla User Agent Switcher Add-on. Hope, It helps. Share your opinion or suggestion how you are implementing cross device web app. Thank you very much. Wonderfully helpful. The Kindle tablet check does not seem to work for Fire HDX versions, but it does for Fire (1st gen). I’ve looked up and found there is a little different syntax between the two types, but I’m not very good with regex. Do you have any suggestion to fix this? Thanks. Thanks for the code, my tablet, mobile and desktop routing now works great. I am trying to tell in my controllers which type of device I am on by examining the DefaultDisplay.DisplayModeId which always seems to be empty. Am I completely on the wrong track?